Since version 02.05.00 of multiMAN you can update your SHOWTIME within multiMAN, by going to XMMB Video tab -> Press [TRIANGLE] while "Start Showtime" is selected -> Update. You can also update your showtime.self by deleting it from multiMAN's USRDIR folder and play a video - you'll be prompted to download the updated version. 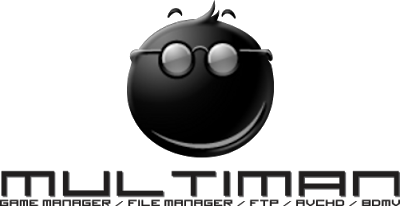 Be advised that in multiMAN versions 04.00.00+ SHOWTIME.SELF is located under USRDIR/sys folder.